When it comes time to replacing a computer, laptops are often a good bet. They’re far less bulky and much more portable than their desktop counterparts, making them an excellent choice if you’re often on the move. With the right accessories, a laptop can function like a desktop, but with portability and flexibility no desktop computer can match. If you want to get the most out of your purchase, you’ll need to know what to look for. 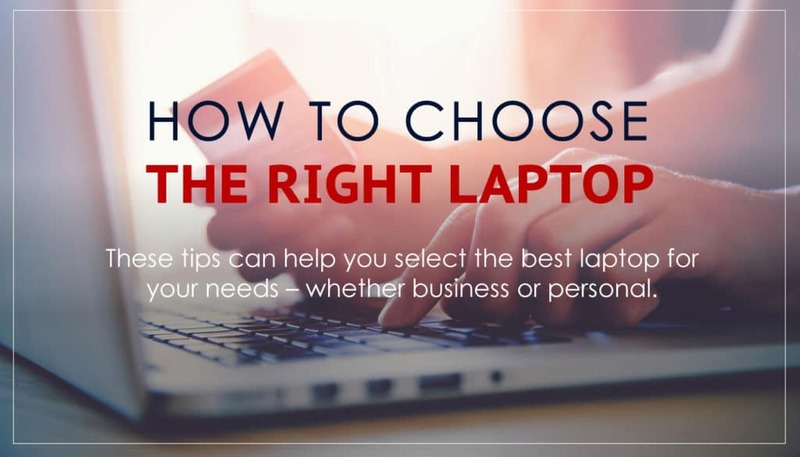 The following tips can help you select the best laptop for your needs – whether business or personal. Laptops are more flexible than ever before. Convertible, or 2-in-1, laptops take that flexibility to the next level. These powerful laptops combine the functionality of a traditional laptop with the ease of use of a tablet. Convertible laptops are great for frequent travelers who frequently do presentations and training seminars. Models like the Lenovo Yoga are popular with corporate trainers. If you need mobility, flexibility, and ease of use, add a convertible 2-in-1 laptop to your shortlist. Unlike desktops, which come in standard configurations to meet the majority of business needs, you can tailor your laptop purchases to users. For light use like surfing the web, paying bills online, email and social networking, a basic laptop is generally all you need. There are some excellent laptops in the sub-$1000 and even sub-$500 range – no need to overspend on such basic machines. For home users who want to store digital photos, play music and surf the web, a basic laptop is clearly the best choice. For the majority of business users, a laptop in the average use category will be appropriate. For most business users, the adaptability of a convertible tablet may not justify the extra cost – what these users need is a workhorse that can get the job done. In the business world, average use could mean creating and updating complex spreadsheets, updating lengthy documents, building PowerPoint presentations and conducting routine office work. For home users, average use might consist of streaming movies and music, along with basic web surfing and social media use. Some users in your organization will need more from their laptop. Your IT staff, for instance, may need rugged laptops that can withstand hard use, while your sales staff might benefit from lightweight laptops that are easy to transport but still quite durable. Examples of demanding laptop use includes multitasking by having multiple tabs and programs open at once, doing sophisticated graphics, photo editing, and video production activities. By working with the management team, you can identify users who need these beefy laptops and outfit them accordingly. Some laptop users require a top of the line machine to get the job done. Members of programming or video design teams, for instance, could benefit from laptops with larger screens and higher resolutions. Once again, your management team can help you identify which specific team members will benefit most from these high-end laptops. For these demanding users, it makes sense to invest more money upfront in order to get things like larger screen sizes, lighter weight, better design, faster processors and extra storage. These laptops will really take a beating, and investing in a better device up front can lower your replacement costs later on. No matter which type of users you’re shopping for, there are some key things to consider when looking for a business laptop. Laptops are all about mobility, but their specific designs vary, as do the needs of users. Some laptop users will never take their computers on the road, while others will be constantly on the go. Here are some key mobility considerations for your laptop purchase. • Touch screen or no touch screen – Touch screens are convenient and easy to use, but they are not always necessary. Touch screens tend to get dirty with frequent use, and over time they can begin to lose their sensitivity. Think about whether the employee in question will benefit from a touch screen, then make your decision accordingly. • Weight – The weight of the laptop is obviously an important consideration, especially for salespeople, IT staff and other road warriors. The more mobile the user, the bigger the weight factor will be. Weight is not much of a factor for a laptop that rarely leaves the desk, but it is a huge deal for the salesperson who will be lugging it through the airport. • Damage warranty – Laptops are more prone to damage than other kinds of computers, so a good damage warranty is a must. Read the warranty specs carefully, focusing on coverage for accidental damage and other types of loss. These are typically available in 1 or 3-year terms. • Docking station – With a docking station, you can turn a simple laptop into a full-fledged desktop, complete with large monitor or two and an external keyboard and mouse. Docking station design is very important, and it should be a key consideration for any business laptop purchase. Screen size varies quite a bit in business laptops, with some models as small as 13″ and others as large as 17″ or more. The larger the screen size allows for a numeric keypad, but is also a heavier laptop, so you will need to strike a balance between easy readability, functionality needs, and easy mobility. Occasionally you may see what looks like a good deal on a refurbished laptop, but Ontech does not recommend these kinds of purchases. Buyers have no way of knowing the history of a refurbished laptop, and there is no guarantee that past problems will not resurface. The processor is the heart of any laptop, and choosing the right one is crucial. Ontech recommends Intel processors over AMD, as we feel Intel chips are more reliable and have a better long-term track record. In many cases, your choice of business laptop will be restricted by the type of software you use, and by the unique system requirements at your company. Think about the software and processes your company uses and tailor your laptop purchases accordingly. If your business uses a resource-heavy software like AutoCAD, there are special requirements in place. For this purpose, I-7 processors can provide the extra power needed to run intensive software programs – or many different programs at once. Specific software requirements can be found on your software vendor’s website, or from your software representative upon request. Memory is another key consideration for any laptop purchase, and more is always better. These days, 8GB is considered the standard for laptops with the I-5 processor, while 16GB is standard for I-7-equipped machines. Ontech does not recommend laptops with 4GB memory for business use, since they often lack the speed and power to tackle many office tasks. If you plan to store most of your business data in the cloud, you do not need a huge hard drive. Think about your own business and how you utilize cloud storage, then choose your laptop configuration accordingly. Finally, for mobile users, a solid-state drive is important. Solid-state drives are more durable and more reliable because they do not have moving parts in them, unlike a standard hard drive, which is why solid-state drives are recommended for highly mobile users. If you’re ready for a new laptop, Ontech can help you find one. We partner with Lenovo and HP, the two biggest names in the industry, and we have the expertise needed to help your organization find the perfect laptop without over or underpaying for your specific requirements. What can Ontech offer for your next laptop purchase? • Peace of mind – If something goes wrong, we’ve got your back. Because we are partners with HP and Lenovo, we have access to 1 and 3 year warranty options, as opposed to only the 1-year warranty at most big box stores. As a partner, we can also offer a higher level of support if there does need to be a warranty claim. • Functionality and longevity – If you purchase a laptop with inferior specifications, you could be forced to upgrade in a year or two. Some functions may not work properly, while others might not work at all. Ontech can guide you toward the right laptop for the right purpose and price. • No bloatware – Commercial laptops come loaded with bloatware – useless programs that take up space and consume your processing power. Our laptops are free of bloatware, so you get exactly what you need – and nothing you don’t. • Professional version – Big box store laptops are geared toward home users and they are often not well suited for business use. For example; a home version of Windows will not allow you to join your domain, group policies, and many other business needs. Also, they generally come with the home versions of operating systems and office suites, while our laptops are equipped with professional software. We’re here to help you through the laptop buying process, from determining the optimal specifications to choosing the perfect configuration. We want to be your business laptop partner, so let us know what you need and we’ll take it from there! Technology is constantly evolving, with new threats being introduced and new solutions proposed. The recent past is full of both challenges and opportunities, from near-constant data breaches that exposed millions of emails, to the changing nature of social media. Tech giants certainly faced their fair share of challenges. 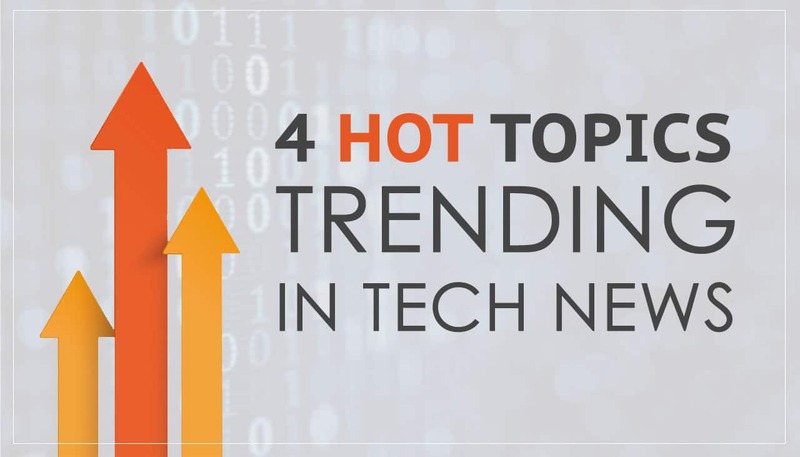 From Microsoft retooling its troubled Edge product with a Chrome-based engine, to their proposed regulation of facial recognition, here are four of the hottest topics in tech, and what they have to teach us. Data breaches have long been a problem in the retail world, with companies of all sizes being impacted. The best known online retailer in the world has just recently faced this challenge in a big way. As shoppers hunted for bargains at Amazon.com, they got more than they bargained for. The retail giant inadvertently exposed customer names and emails, leaving those accounts exposed and raising the risk of identity theft and other serious repercussions. Amazon.com blamed the exposure on a technical glitch, and the company claims that the underlying problem has been fixed. They also claimed that no credit card or financial information was involved in the breach, offering shoppers a bit of good news along with the bad. The company declined to say how many online shoppers had been affected, and it said the impacted customers have been contacted directly. 2) Will Facebook Make a Cyber security Acquisition? It was another challenging year social media giant Facebook. The company continues to struggle with a loss of consumer confidence, in addition to a slowing of growth. Security concerns continue to be top of mind, and now Facebook seems poised to make a new acquisition, one that could reassure users and help keep their data safe. Stories recently surfaced that Facebook was ready to make a cyber security acquisition, a move many in the tech industry claimed was long overdue. Anonymous sources state that Facebook has approached a number of cyber security firms – yet another indication that the leading social media company is taking user privacy and protection more seriously than ever before. But the question remains, will the acquisition actually take place? While this strategic move could address one of their most pressing problems, there’s no telling to what degree it could help restore the confidence of its users. Microsoft may be the undisputed leader with its flagship Windows operating system, but the tech giant has faced enormous challenges with its browser products. After many years of struggling with their Internet Explorer browser, Microsoft created Edge, a product it claimed would revolutionize the industry. The reality turned out to be far less impressive than the hype, and Microsoft appeared to throw in the towel. Edge will soon be reborn under the same branding, but under-the-hood, Edge will be running Chromium, the popular open-source solution that powers Google’s Chrome product. Many in the tech industry see the adoption of Chromium as the final indication that open-source has finally won the browser wars. After years of proprietary products, Microsoft has officially joined the open-source crowd, joining the likes of Mozilla’s Firefox and Google’s Chrome. Facial recognition is a fast-growing trend in tech. It can lock our smartphones and unlock office doors, but so far, regulation has lagged far behind the technology. That may be changing however, and facial recognition may soon get the regulatory scrutiny many have called for. Microsoft recently joined the discussion, with president Brad Smith expressing concern about the fast spread of facial recognition technology and the scarcity of regulatory control. Even as he acknowledged the profit potential of facial recognition technology, Mr. Smith urged a go-slow approach. The president of Microsoft also pointed out the deep societal implications of this fast-growing technology, including the potential for abuse. From concerns about repressive governments, to issues of personal privacy, facial recognition has the potential to disrupt people’s lives like never before. By proposing regulation of the technology, Microsoft is attempting to get ahead of the situation, putting the brakes on facial recognition while still allowing responsible use of the technology. While concerns surrounding the tech industry have never been greater, neither has the promise. Only time will tell where current tech trends will lead, but understanding what has happened in the past could be the best way to understand our technological future. Given the frightening nature of personal data privacy and protection, it’s only fitting that October is also National Cyber Security Awareness Month. 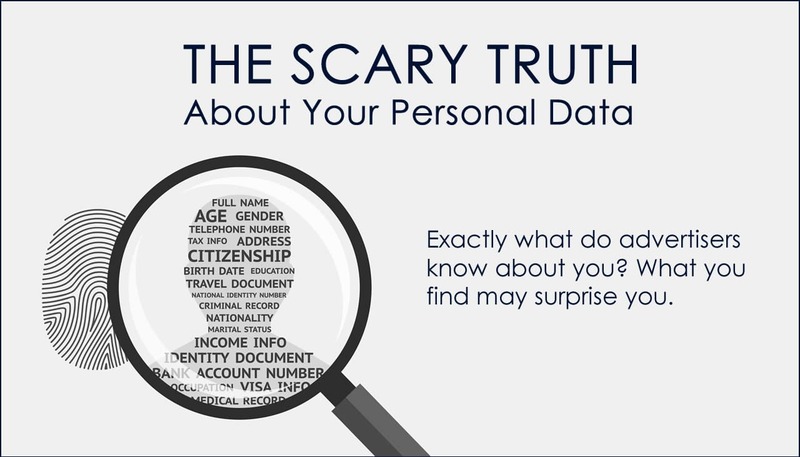 What better time to learn the facts and take steps to protect yourself and your data? You might think your spouse or intimate partner knows you best, but what about the world’s most popular search engine, and arguably the most powerful corporation in the world? Google knows more about you than you think, and your search history is just the beginning. Google operates on a massive scale, and the company relies on the information it collects to support its advertising platform. This data collection may be legal, but it can also become a bit obtrusive. With location settings on cell phones, one of your social media “friends” could see your location without your knowledge, so pay special attention to your privacy settings and know what you are sharing. Which Advertisers Are Targeting You On Facebook? There is an old saying in the tech world that when the service is free, you are the product, and that is certainly true in the case of Facebook and other social media companies. Facebook is funded through its ads, and their advertisers rely on statistical algorithms and user data to target and reach the right audience. At its core, Facebook is an advertising company, but users can learn what the company knows about them and control how much information is shared. If you want to see which advertisers have uploaded your contact information, go to Settings > Account Settings > Ads > Advertisers You’ve Interacted With. Then look for a section called “Advertisers who uploaded a contact list with your info”. When you click “see all”, you’ll likely see a long list populated with hundreds of advertisers you are both familiar with and have never heard of. How did they get your info? We’ll get to that shortly. If you are uncomfortable with others sharing your data on Facebook, go back to Settings > General Settings > Ads. Then scroll through each of the ad sections, click Edit and change the setting to “No one”. This will take some time, but your privacy will be worth it. The next time you’re running late, you might want to think twice before speeding, especially if you have an iPhone in your pocket. Location data not only reveals to advertisers and “third parties”, your exact location at any given time, but also the speed at which you are going. The location data that makes the iPhone so useful can also be used to track your speed and location. Those two interrelated pieces of data are all that is needed to set a speed trap. GPS maker TomTom did just that, selling the data they collected to police in the Netherlands. Acxiom may not be a household name, but the company has already amassed a massive database, one that touches almost every American consumer. Given the enormous amount of information Acxiom has already amassed, it may be surprising that the firm wants to know even more. With an ability to process more than 50 million separate data transactions every year and data on more than 500 million consumers around the world, Acxiom collects 1,500 data points per individual. It is important to understand that this kind of data collection is the way numerous advertisers and websites gain access to your data. Given the nature of data privacy and the threats to its protection, you might expect government intervention, but unfortunately, it doesn’t appear this is very likely. In fact, governmental regulations are currently moving in the other direction. Rather than cracking down on data privacy violations and urging an increase in consumer protections, the government has lightened the regulatory load on businesses. There is currently no political will in Congress for additional regulations, and consumers cannot rely on legislators to protect their data. Instead, consumers concerned about privacy and data protection need to take a proactive approach. From freezing your credit to taking advantage of monitoring services and changing your privacy settings, there are things you can do to protect your personal data and stop it from falling into the wrong hands. The recent Equifax data breach should be a wake-up call to everyone, since nearly every adult in the United States was involved in the data leakage. Here are some additional ways to protect your data and privacy. Update your security software – Your antivirus and security software is only as good as its last update, so keep it up-to-date. Turn on automatic updates – It’s easy to forget about software updates, so make sure they’re set to automatic. Protect all your devices – That phone in your pocket is more than a calling device; it is a tiny computer, and it deserves the same protection you give your laptop or desktop. Scan your USB devices – Plugging an infected USB stick into your computer could put your entire network at risk, so scan it before you open any files. Use strong passwords – Using a common word as your password is just asking for trouble, so avoid common password mistakes and use a sentence instead with special characters, upper case, and lower letters. Create unique account names and passwords – It’s best practice to have a separate user ID and password for every site you visit; you can track it all with a quality password manager. The nature of the tech world creates some unique challenges for users, but there are ways to protect yourself. From changing your Facebook settings to keeping your security software up to date, a few simple changes can enhance your privacy and protect your personal data. It wasn’t long ago that going on vacation meant hauling a bulky camera and packing extra SD cards in your luggage. Back then, smartphone cameras were basic devices, good for a few snapshots but not much else. To capture those special moments and remember your summer vacations, you needed an expensive digital camera. Since then, times have certainly changed. Whether you own the newest iPhone or the latest Android device, the camera inside your phone now rivals the best digital cameras of a few years ago. Even some professional photographers take shots on their smartphones, and for the casual photographer, these devices have become indispensable. Now that summer vacation season is here, it’s time to start packing, but there’s no need for an extra camera. You might not need a standalone camera in your suitcase, but the right accessories can make your family photos rival that of a professional photographer. There are a wealth of smartphone accessories on the market, each designed to take your photography to the next level. If you’ve watched a professional photographer at work, you’d be amazed by the sheer number of lenses in their bag. In the old days, professional-quality lenses attached to bulky cameras, providing photographers with a vast number of options as they shot sporting events, weddings, family reunions, and more. These days, lenses have gotten smaller, but the concept is still the same. Professional photographers still rely on a variety of lenses, from fisheye and wide-angle to waterproof lenses for shooting at the beach. The average smartphone user can now get professional-quality lenses similar to what photographers have been using for years. Instead of connecting to bulky 35mm cameras or the newer sleeker digital cameras, these lenses attach directly to your smartphone. For a surprisingly affordable investment, these smartphone camera lenses are sure to help your budding photography skills come to life. The great thing about outfitting your smartphone with a new lens is creating a whole new look in a matter of minutes. To capture a wide range of shots, it’s best to use a variety of different lenses, each serving a different purpose. There are many types of smartphone lenses on the market, including those outlined below. Fish eye lens: The fish eye lens is one of the most fun, unusual smartphone accessories. These unique lenses provide an up close view of the world, so you can create memorable shots of your family vacation. Macro lens: It’s likely that you’ll want to take close-ups on vacation and a macro lens is specially designed just for that purpose. With a macro lens, you can zoom in on the action, taking close-ups with confidence and creating memories suitable for framing. Waterproof lenses: Whether you’re relaxing at the beach, diving or enjoying water sports, you can accessorize your smartphone with a waterproof lens. This simple accessory will help you shoot more confidently in conditions that wouldn’t otherwise be possible. Wide angle lenses: With their short focal lengths and wide fields of view, wide angle lenses are designed to capture more of the action. If you want your finished photographs to recreate the whole scene, get a wide angle lens for your smartphone. When shopping for lenses, be sure you have the right accessories for your desired camera shots. Here are some tips to find the right lens for your photography objectives. Think about the shots you want to capture. Do you prefer close-up shots or do you want to see the entire field of view? Choose lenses that are durable and stand up to hard use. Select lenses that are easy to install and remove. You will be switching back and forth often, so ease of installation is a must. Experiment with shots before you leave for vacation. It can take some time to become acquainted with these lenses, so take lots of practice shots before you leave. 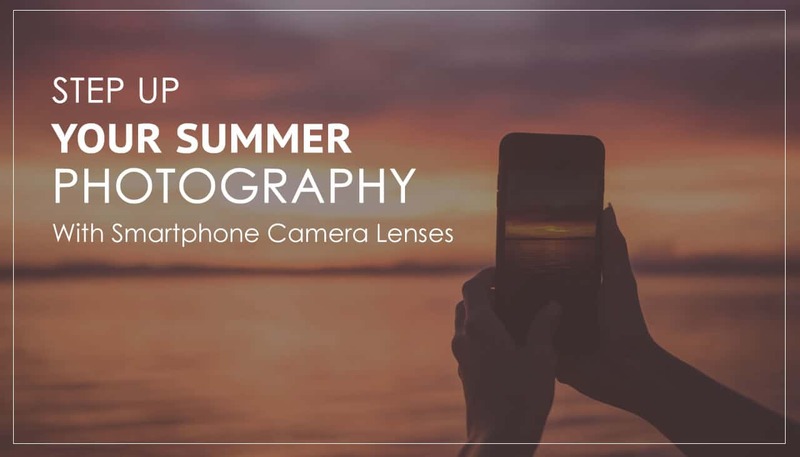 It pays to do a bit of research in order to find the right lenses for your phone, your photography style, and your next vacation so don’t rush into this decision. To begin your search for camera phone lenses, start by checking out this smartphone lens buying guide. 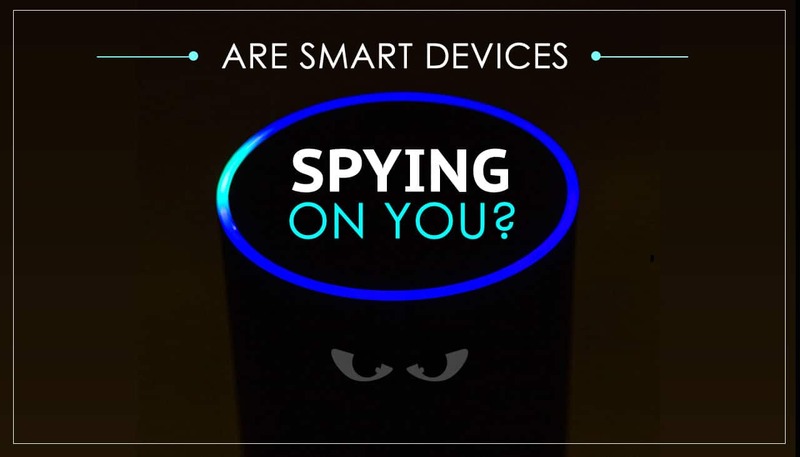 Are Smart Devices Spying on You? What once was a crazy concept conjured up by conspiracy theorists, today, has become a real concern for many Americans. After years of dismissing reports and suspicions of smart devices spying us, manufacturers are finally admitting there may be some truth to the idea after all. Science fiction writers have predicted a robotic revolution for many decades, but the reality of that revolution looks very different. The age of robots may be here, but it has taken the form of a personal assistant rather than a robot set out on a mission to conquer the world. While in-home and in-office robots may be convenient, there is a dark side to the robotic revolution. As they improve our lives, devices like Alexa, Google Home and Siri pose a number of privacy risks and data vulnerabilities. If you want to protect yourself and your data, you need to understand these vulnerabilities – and prevent these connected devices from becoming inadvertent spies. With each new leap in technology comes a subset of unscrupulous people with their sights set on an angle to exploit it – more specifically the people who use it. The robotic revolution is definitely no exception. And unfortunately, many smart devices – (particularly household related), offer little protection in terms of security. What is Considered a Smart Device? Smart devices are everywhere, but there is still a great deal of confusion about what these devices are and what risks they pose to consumers. One defining factor of smart devices is their ability to share data, connect to the internet and interact with other devices. A smart device could take the form of a smartphone, thermostat, refrigerator, door lock, speaker, light switch, or even coffee pot. But when it comes to privacy concerns, thanks to a handful of viral news stories, Alexa and Google Home might immediately come to mind above all else. One news story in particular centered on a family whose Alexa device not only recorded a private conversation, but sent the conversation to one of their smartphone contacts.The Alexa case is still being investigated, but Amazon claims that a series of unlikely events converged to create the scenario. Just how unlikely that scenario really is remains to be seen, but many Amazon fans are deeply skeptical of the company’s claims. To add insult to injury, there have been a number of high profile cases where smart televisions were spying on their owners using built-in cameras to record what was happening in the room – and sending that information to third parties. Even baby monitors have been implicated in smart device scandals, leaving new parents worried about their privacy – and the safety of their children. Unfortunately, even seemingly innocent toys are not immune from the dangers of spying. Your child may have one of those CloudPets, but those plush toys are not as innocent as they look. These high-tech stuffed animals have proven to be very hackable, putting the security of their young owners in jeopardy. Make no mistake, the federal government is well aware of the risk consumers’ face when it comes to smart devices. In fact, the Federal Bureau of Investigation recently weighed in on the security of router devices used to connect our homes. The FBI recently issued an urgent warning, urging everyone who owns a router to reboot the device. A vulnerability was uncovered as part of the Russian spying scandal – one that left hundreds of thousands of routers vulnerable to attack by foreign agents. And while the FBI was able to take control of the compromised website, the agency urged consumers and businesses to reboot their devices in an attempt to isolate and defuse the vulnerability. The dangers posed by smart devices are very real, and the bad guys use the data they steal in a number of different ways. From appropriating trade secrets to swiping passwords, hackers and other bad actors have used the vulnerability of smart devices in a number of nefarious ways. In response to these vulnerabilities and the seemingly endless parade of news stories, governments around the world are taking action. In addition to the recent GDPR legislation in Europe, a number of individual countries are taking further steps to protect the privacy of their citizens. Germany is one such example. The country recently banned the sale of smart watches for children, and a number of the nations are predicted to follow suit. So what can you do to protect your privacy while still enjoying the convenience these devices bring to your life? The good news is that you can protect yourself and your data before your privacy is compromised. From changing the settings on your Android or iOS smartphone and avoiding untested apps, to resetting the passwords on your internet-connected devices, there are some simple steps you can take to protect yourself and your privacy. Take a moment to follow these specific steps to prevent your smart TV, Google Home, Apple HomePod, and Amazon Echo from listening to your private conversations. 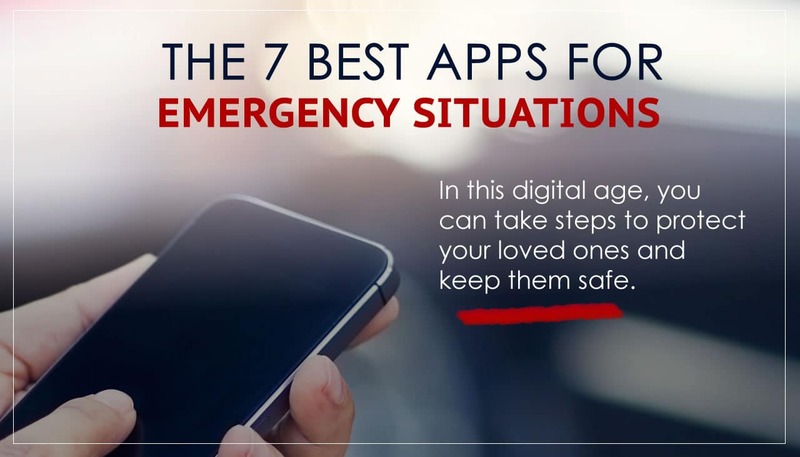 From smartphones to internet-enabled TVs, Alexa or Google Home devices – for many people, the convenience of these devices still outweighs the risk. By being proactive and taking the necessary steps to secure your smart devices as best you can, you can minimize the risk of your privacy being violated and sit back, relax, and enjoy the amazing age of technology we live in.